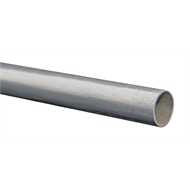 Metal Mate Galvanised Round Steel Tube is available in 1 and 3 metre lengths and various diameters. The light galvanised coating aids in surface preparation and assists the product to stand up to the elements. Used in fencing and gates, furniture work, craft projects, making brackets, repairs to cars, caravans, trailers and farm machinery. 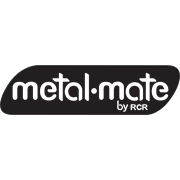 How To Paint How to paint metal You can give your metal gates or furniture a new lease of life with a fresh coat of paint. We’ll show you how to get the best results painting over rusted and flaky metal. Tools & D.I.Y. Skills How to gasless weld We show you how to safely join two pieces of metal using a gasless welder. Gates & Fencing How to build a Colorbond fence A colorbond fence is a sturdy way give your home privacy and security. They also come in a range of colours to match your outdoor décor. How To Paint How to paint window frames Learn how easy it is to paint aluminium window frames. Ideas & Makeovers Hamptons Sanctuary Bright, open and stylish are the hallmarks of the Hamptons Sanctuary. The island bench doubles as a workspace and breakfast bar, while the bamboo benchtops and window panel cupboards complete the look. Laundry How to fit out a linen closet You can make the most of your linen closet by installing shelves and drawers. We’ll show you how to assemble a shelving and drawer system for your linen closet. Living Room D.I.Y. rolling storage cabinet This rolling storage cabinet looks fantastic and it’s perfect if you need extra storage space.